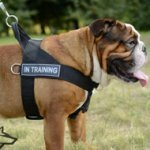 Weight training is contraindicated for dogs under 1 year of age, for some dog breeds it's 1.5 years. 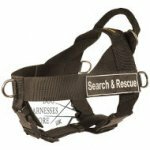 Different dog owners use weight harnesses in different ways some let the dog wear it all day long, some put it on only for training. 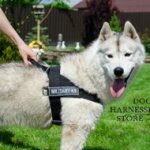 The right variant is putting on the weight harness after a little running session, when the dog's muscles are warmed up and the respiratory tract functions smoothly. 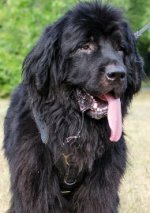 Otherwise the dog can get a sinew injury or just get exhausted. 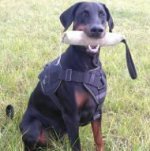 You should load the lateral muscles first of all, then load the chest and only after that - the dog's neck. You should distribute the load over the body part you want to train evenly. 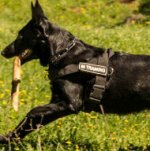 If the dog has recently started training, it will be the lateral muscles. Start with 50 gr, but if you can't wait for the results to come, you can as well take loads of 100 gr but not more. Increase the weight bit by bit. This means, that loads of 50 - 100 gr must be distributed evenly, so it's 50 gr on one side and 50 gram on another side, but 100 gram must not be exceeded. This concerns beginners. 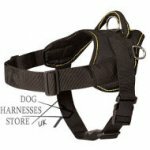 You can increase the weight up to 4 kg of the harness total weight (including the chest, sides and neck load). The first training may be like this: 20 min. 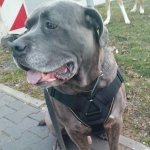 walking (to let the dog ease nature), 10 min running at the trot, then there may be 10-20 jumps, after that put on the harness and walk on. 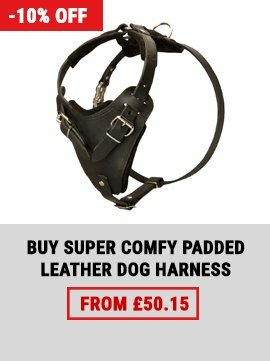 The dog can jump with the harness on only if it fits tightly. 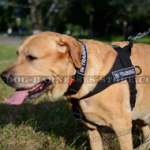 At the beginning, you should walk approximately 30 minutes with the harness on. 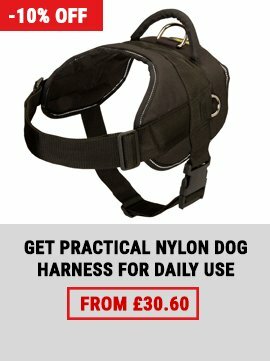 Then let the dog walk and jump without the harness. 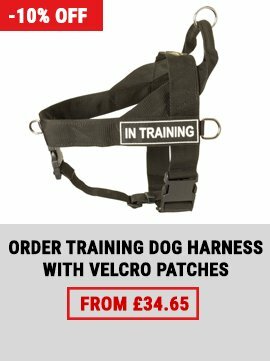 Add 5 minutes to every walking session with the harness. Increase the weight every week for 100 gr of the total weight. 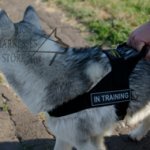 The training schedule should include 5 training days and 2 days-off, when the dog can get some rest. 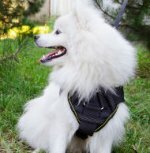 But you should still increase the walking session up to 20-30 minutes without jumps and running. Don't you ever overdo with the weight and walking duration! 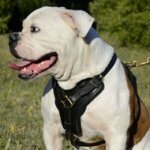 It can be harmful for your dog! 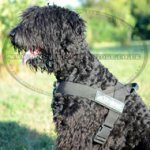 Nylon Dog Harness UK for Black Russian Terrier or Schnauzer!